This adorable little Parisian bistro is a great place to stop off for a quick drink, snack at the bar or eat a full dinner out back in its gorgeously atmospheric dining room. The atmosphere is buzzy, alive and mixed and attracts a very lively crowd, oh and the food is really good too! And If you like pastis, then you are sorted, as they offer over 80 different types along with, amazing National wines and beers, cool cocktails and any spirits of your choice. 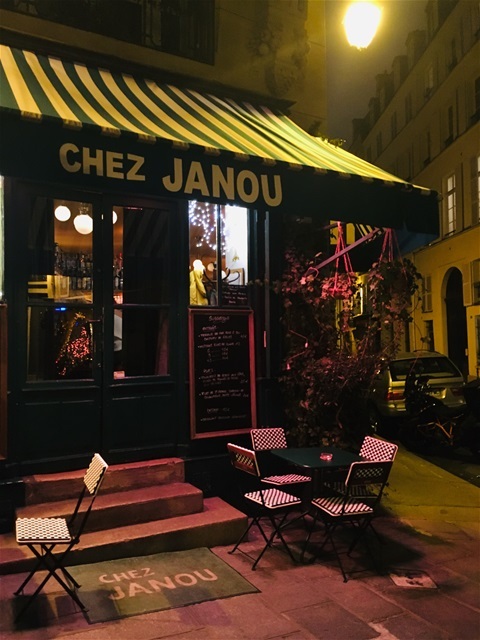 Chez Janou is one of our favourite hang outs and a trip to Paris just wouldn’t be the same without popping in at least once. Traditional with a twist in its interiors and its menu but all presented with style, class and vigour. The staff were impeccable and attended to every whim immediately, the service was second to none, as was the food, especially the Beef Bourgogne with creamy mash which was without doubt outstanding, as was the the Gourmet Burger which was of great quality, succulent, fresh and very filling and thre coffee was great to. The venue and the street its-self is ideal for that favourite Parisian pass time, people watching and with its front terrace split between the restaurant facade and the walk way you shouldn’t miss a trick! A great little place that you will probably want to come back to and great to just hang out in. 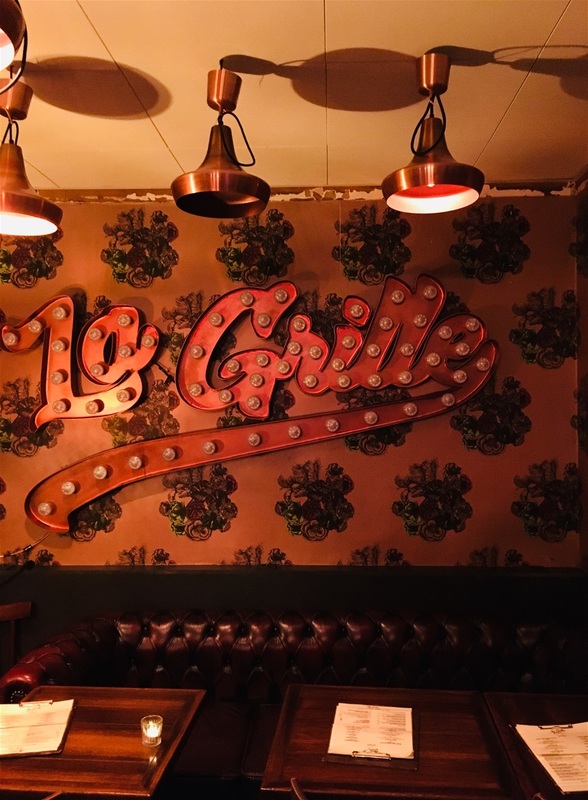 Tucked away on a small side street and really close to the recently rennervated St. Germain Marche, La Grille Vintage is a great little find if you like a relaxed atmosphere, out of the limelight and all things vintage. 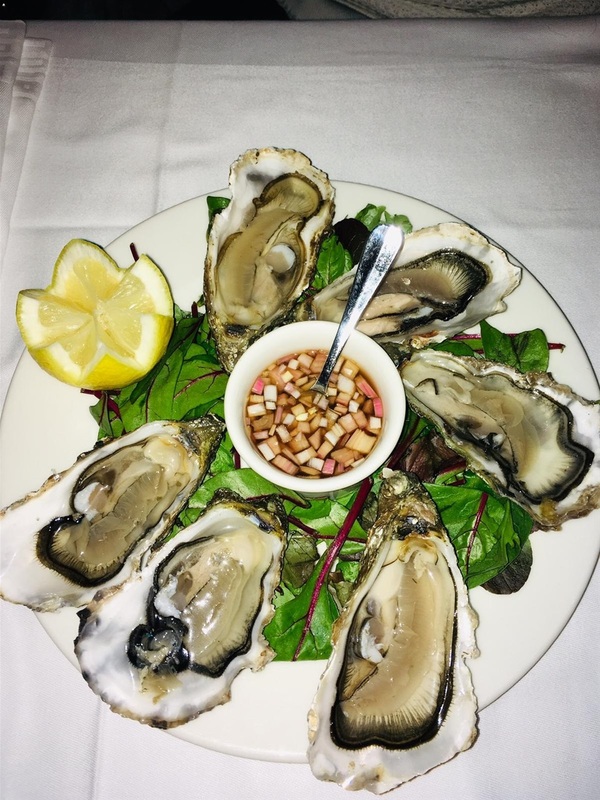 On the whole the menu was simple, tasty and affordable, the staff were really helpful, polite and welcoming and the restaurant interiors were cool, comfortable and inviting. 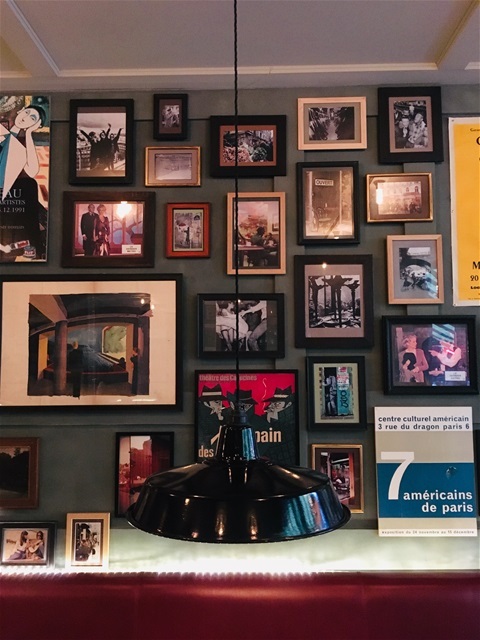 A layed back local Parisian bar/restaurant that you could hang out in all evening if you wish. 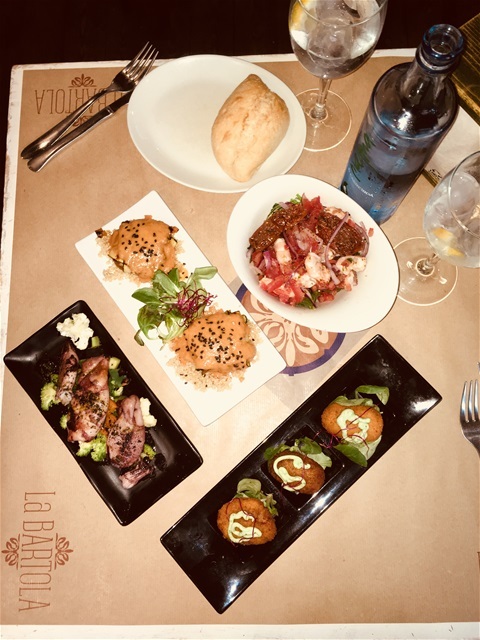 One of Seville’s most popular restaurants and for very good reason, the food was fantastic! We first tried to get a table in the evening but that was impossible, with a 2.5 hour wait (if we were lucky!) as no reservations can be made, so we attempted lunch the next day (before we left) and actually made it in, mind you we were first in the que!! A premier modern tapas bar/restaurant with a menu full of traditional & modern cuisine and a fantastic specials board that changes daily and all the veggie options were impressive too. The tomato and red onion salad was fresh and zangy, the zucchini flowers stuffed with cheese, delish!, the trio of hand rolled croquettes were sublime (veggie, fish & meat) the hand-made ravioli was melt in the mouth and the grilled squid with broccoli was mouth-watering and all topped off with gorgeous freshly baked mini bread rolls to really helped with mopping up all of those delicious sauces and all food backed up with a good wine and spirits list. With a post modern factory ambiance, the interiors are simplistic, itsa ll about the food and it was ALL about the food! Stunning! A must whilst in Seville, If you can get in!